We're offering two courses this fall in W Central Florida, our 16th and 17th design courses. One from Oct 21-Nov 1 on our farm near Brooksville, and another from Oct 15- Mar 5 (six months, one weekend per month) in Tampa, focused on all things urban permaculture. Each one offers a focus on subtropical solutions (but we cover all climates) - the farm is an immersive experience on an emerging permaculture site. The urban course is great for people who can't get away for two weeks intensively, and those who want to stretch out the course to dive in between sessions. Anybody know their stuff about building solar from parts/scratch? Trying to price and put together solar parts from scratch. For a walipini aquaponics system. Struggling with the details. This course will be held in one of the most beautiful and diverse ecosystems in the world. We will tour the cloud forest and have special evening classes on the ecosystems of the Monteverde Cloud Forest and on the local culture. If you can stay an extra week, we'll be giving a cob building class and more in depth classes on a variety of subjects. We're proud to be partnering with the Monteverde Institute, an organization doing much good work in Costa Rica with people care and earth care. 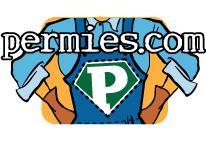 Florida bound, shout out to local Permies! Welcome to Florida. There are so many plant choices here, many plants do well together once the soil is built. You have your choice of native nitro fixers and non native. Ice Cream Bean is an edible nitro fixer that may grow in 9B - love that tree. Pigeon pea loves Florida. There are a few of us talking about creating intentional community on acreage. Have you ever considered doing that? Work with nature to build rich soil, conserve water, the fundamentals you need to create a healthy ecosystem full of nutritious edibles in your yard. Join experienced permaculture designers Jono Nieger and Koreen Brennan for a weekend immersion into permaculture approaches to building soil, conserving water and understanding natural patterns and the natural world. This weekend we’ll focus on resilient soil building, water use, trees, and ecosystem patterns; putting it together to help you design your edible forest garden. The workshop is part of the Urban Permaculture Design Course Tampa Bay, but also acts as a stand alone workshop. Fees and time spent at this workshop can be applied to any future full permaculture design course with Grow Permaculture. This workshop will be held at beautiful Moccasin Lake Nature Park, Clearwater, FL, a 50 acre nature preserve with several ecosystems, rare species, a beautiful boardwalk and lake. This park has space for a food forest and is focused on regenerative living! There will be information, hands on learning and take home materials. We will cover fundamentals that apply anywhere with a focus on Florida specific techniques. You may pay by PayPal on this web site. A conservation biologist and ecologist since 1990 and permaculture teacher and designer since 1996, Jono has a diverse background in ecology, conservation, restoration, land stewardship, permaculture, horticulture, and landscape design. Jono was the Land Steward at Lost Valley Educational Center, Oregon, Restoration Ecologist with the Nature Conservancy of California, Lost Creek Watershed Council Founder and Coordinator, and Conservation Agent for the Palmer Conservation Commission. He is a member of the faculty at the Conway School of Landscape Design and teaches courses and workshops in Permaculture, ecological design and land stewardship. Jono is Board President of the Permaculture Institute of the Northeast, and is a founding partner of the Regenerative Design Group. Early bird rate is extended through end of December. Here are some responses from our graduates, many of whom are doing great projects! I really enjoyed the whole PDC experience. I knew I would, but it was even better than I had thought. I loved the detailed theoretical classes in which I learned how to build soil, how to make it faster than it would happen naturally, how plants benefit each other. I also liked the hands on experiences a lot, it made many concepts so much clearer. I enjoyed the teacher’s methods, and the warmth of the teachers’ helpers. It was a learning experience in every single level not to mention a great opportunity to meet nice people and grow. Thanks!!! I would highly recommend this course, taught by Koreen and her associates to anyone who has great concern for the future of this planet and the destructive path it is on. Permaculture is the solution we have all been waiting for. As permaculturists, “We are the ones we have been waiting for” to save ourselves from ourselves. Koreen is incredibly knowledgeable and has experienced many areas of the world first hand. If you have been feeling at a loss and discouraged this is your last chance to educate yourself as if the earth herself were revealing her deepest secrets on how you can help her. This is what permaculture is. Grow Permaculture far exceeded my expectations, even after years of experience working with organic gardening methods already. This is just the tip of the iceberg on how much is available for you to learn as you will find out. The depth of how very differently agriculture and water managment and land useage really need to be can’t be stressed enough. Thank you very much for this amazing course.The setting was ideal. The fact of being able to practice on real ground was invaluable. The presentation was very lively and instructive and really opened my eyes on how good design takes care of both the earth, the people and creates a surplus without waste. I love permaculture principles and how thoroughly and thoughful they are and how caring. Learn from the most experienced design team actively teaching in-person PDCs in Florida. Our courses offer career mentoring, field trips, hands on, apprentice opportunities, clearly written materials, a curriculum based on feedback from hundreds of students, community networking, financial permaculture, interactive exercises, design mentoring. Our teaching team includes professionals and PhDs all who have been very actively living permaculture and building their communities for years; planting thousands of trees, organizing permablitzes, creating Time Banks, creating community gardens, etc. Our students come from around the state and beyond, and go on to regularly engage in major projects that are making meaningful changes in their regions. People who take our courses include city officials, green consultants, architects, business owners, landscapers, homesteaders, gardeners, students, builders, activists, transformers, dreamers, doers. Dan Hemenway workshop in Florida! Dan Hemenway is making a rare appearance in the Tampa Bay area to give a design workshop. He is THE Florida veteran permaculturist who was asked by Mollison to teach in the US in early 80's after working with him. Dan is full of information, stories, and a very clear way of expressing deep permaculture concepts. This very rare workshop is expected to sell out so be sure to inquire early! We're looking for land to purchase or to partner on land with the owner to create an intentional community in Central Florida. We have a robust team with diverse skill sets and we have some investment funds. We are a multicultural, multifaith group. Our common ground is permaculture, creating design for seven generations, respect and love for each other and the land. We will give classes, hold retreats, create food forests and other demonstrations of permaculture, and earn livings from the land and from design/education. Housing should be available, and zoning should allow additional housing or it is possible to change zoning. Must be clean water access and surface water is a big plus. Some of us will continue to work in nearby urban areas as well, living in the city part time, and on the land part time. We're looking for land that is near protected wilderness area or areas, 50+ acres - we would prefer 100+. Ideal partner will be someone who doesn't have time to regenerate the land or create these things but would like to see it done. An absentee owner who doesn't want the land developed and wants it to be taken care of; a retired farmer or rancher; someone who wants to live in an intentional community and would like some help creating one; or someone who wants to sell or lease the land to people who will take care of it. We understand it may take some time to get to know each other in a potential partnership situation and we'll facilitate that if the land is what we need. I am also working with people in S California looking for a similar situation, and a group interested in land in Tennessee or N Carolina. It's good to read other people's experience in Florida. We have similar experiences - abundance of delicious, though not always the most familiar foods, and the ability to build great soils if you have the know how. I especially love the perennial greens we can grow here like chaya, moringa, katuk, wild lettuce and on and on. Greens all year round, in abundance, that you don't have to constantly replant and reseed! We're offering an Urban Permaculture Design Course that emphasizes Florida plants, climate, natural building, etc one weekend per month starting July 13. We offer apprenticeship opportunities on upcoming designs (including a public food forest and other public projects), career pathways, and a number of other extras during the course.